For generations parents have told their kids, "I am going to take care of you until you are 18 years old and then you are out of the house and on your own." We have essentially spent 18 years grooming our children to be dependent on their parents. This has produced undesirable results -- as millions of young adults, who are unable to take care of themselves, struggle on their own or return home to live with those who raised them. Parents and even grandparents desire a manual on how to raise kids -- but there isn't one. As a result, most parents improvise and do their best but more and more children are going out into the real world, unprepared and struggling to succeed. We believe that children are infinitely capable beings, who can accomplish anything in life, especially when they are taught to love to work early. We've discovered the secret and created Kids Love To Work: the last parenting system that you'll ever need. 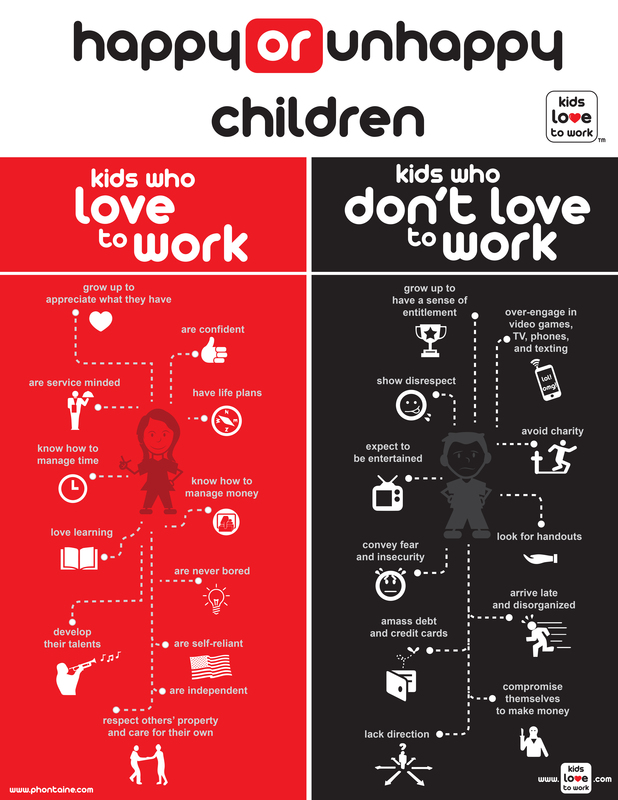 What is Kids Love To Work? Kids Love To Work is a simple, inexpensive system that teaches kids to care for themselves and their homes, all while developing good healthy habits that last a lifetime. It works for any size family, for any size budget, and for kids 2-17 years of age. Kids Love To Work is a family economy. 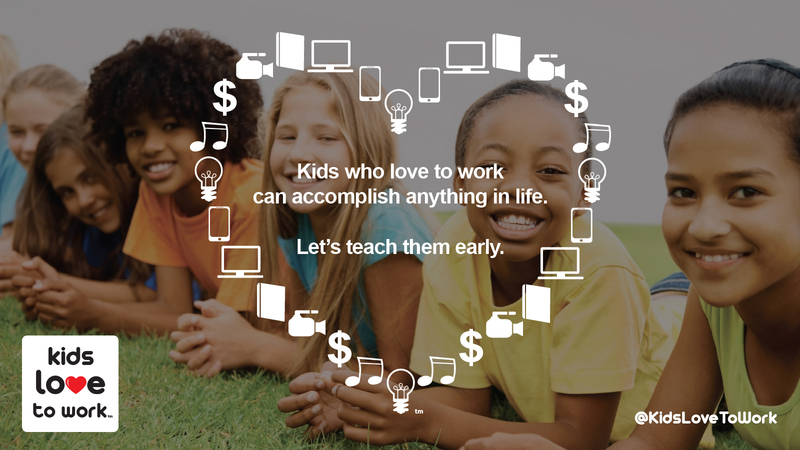 We provide a system of jobs, rewards, and chore videos to teach kids how to work and help out at home. The simple and clear entertaining videos teach kids how to do their jobs correctly and safely. They have a points chart to track their progress. They get paid at the end of each week for their hard work. Kids pay for things that they need and want and are also encouraged to be charitable. They develop confidence, maturity and respect. Kids learn to consistently care for themselves, their surroundings and others. With Kids Love To Work, children grow up happier and more prepared to succeed in life. For a limited time, Kids Love To Work express can be purchased for a one-time fee of $9.95. Why did we create the company? There are approximately 81 million households in the U.S. with at least one child and over 1.5 billion family households in the world. Every 7 seconds a child is born to parents who want them to be happy, confident and capable of taking care of themselves. We are award winning storytellers, business creators and technology innovators who have discovered the secret to achieving this goal. If we help parents teach their kids to love to work early in life, they can more easily reach their full potential -- and all together we can make the world a better place.